Very friendly doctor. Also very friendly nurse and assistant. Would definitely recommend them. A seasoned provider, Dr. Allan Fields is skilled with the intricacies of internal medicine and primary care. 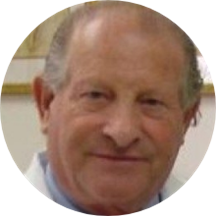 He currently practices at iMed Advisory and caters to the people of Hallandale Beach and Hollywood, FL. Dr. Fields attended the Philadelphia College of Osteopathic Medicine, where he earned his medical degree. Additionally, to gain practical knowledge, he completed an internship in internal medicine at Bay View Hospital, Cleveland. He then completed two residencies, one in internal medicine at Kennedy Hospital, Cherry Hill and the other in general surgery at Cherry Hill Medical Center, Cherry Hill. Being a surgeon, Dr. Fields goal is to restore his patients’ health and strive towards the patients' recuperation. He is also an active member of the American College of Osteopathic Surgeons, American Osteopathic Association, and the Florida Osteopathic Association. The visit was very pleasent, very proffesional.